Message summary: Let us all be faithful in placing a top priority of God's call upon our lives today in bringing people to Jesus. Pastor Robert Morgan tells a story about a time when he had lunch with a friend. While they were visiting a lady stopped by their table to greet them. As she left Morgan's friend said, "This woman has been a Christian one day less than me." Morgan asked what he meant. The friend told him, "I was selling insurance for a living, but I was pretty wild. One night my misery led me to contact a pastor who led me to Christ. The next morning I excitedly told some co-workers how my life was changed. The lady you just saw overheard me talking, approached me, and said 'I need that in my life.' I took her to the pastor and she too was born again." I wonder...would others at our workplace or places we frequent desire to know Christ as a result of hearing our conversation in addition to observing our lives? Paul wrote that we are to build others up, that it may benefit those who listen. Just last Sunday a young lady named Erika was baptized. A self-proclaimed atheist she spoke about a friend from school who asked her to attend the youth group at our church. She repeatedly turned her down but her friend never stopped inviting her and witnessing about Christ. Finally, she attended, just to appease her friend, and found herself enjoying the youth group. Later at a youth seminar she gave her heart to Jesus and chose to be baptized as a public witness of her salvation. As we continue to live out our faith in the daily grind of life we should find opportunities to communicate life changing truths to those around us. A foundational conviction we have is that the Lord providentially places people in our paths and we do well to see ministry in this light rather than something we do compartmentally. Andrew is one of the lesser-known disciples. Although he came to know Christ first and brings his brother Simon (Peter) to Jesus, he is quickly over-shadowed by his famous outspoken brother. Yet we always find his name associated with bringing people to Jesus in the Gospel accounts. In fact as far as I can determine this is the only thing that distinguishes him. During a hunger crisis he managed to bring a little boy to Jesus even though he didn't appear to have much faith that the boy's contribution would amount to much! Also, along with Philip, he brought Jesus a message concerning some Greeks that wanted to meet Him. 1) "The first thing" Andrew had found the Messiah and wasted no time in declaring the message to his brother. It was obviously a priority. What an example for us! 2) "He brought him to Jesus." That surely summarizes the best thing we can do for our family, friends and whenever possible our enemies. Let us all be faithful in placing a top priority of God's call upon our lives today in bringing people to Jesus. 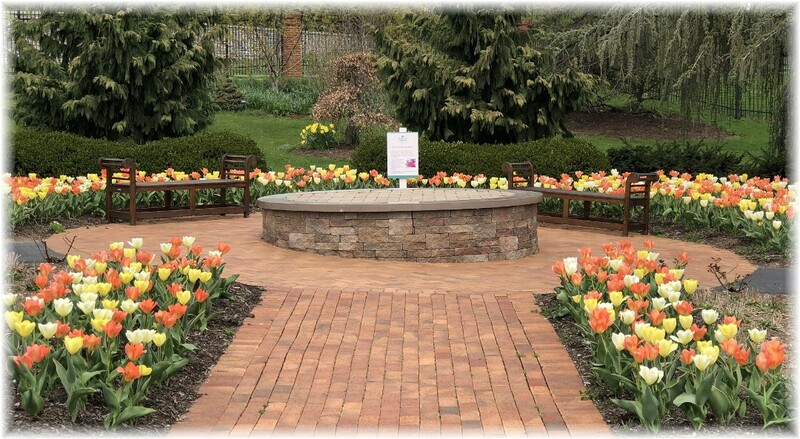 Daily prayer: Father, we don't want unwholesome conversation or meaningless verbiage to fall from our lips, but rather we want to build others up according to their needs that it may benefit them. One of the ways we express genuine interest and compassion to others is by telling them of Jesus the Messiah, much like the disciple Andrew did. Right after finding who Jesus was the first thing he did was to tell his brother, Peter, of the good news. Their lives were forever changed. May the words we speak, the lives we live, and the time we spend with others bring about a harvest of souls so that the kingdom of God is made known to those who would otherwise be lost. In the name of Jesus we pray. Amen. "When I stopped for gas outside of Nashville, Tennessee, I pulled up behind a car with a Vietnam Vet license plate so I palmed a chaplaincy coin for vets, shook his hand, and thanked him for his service. I told him I was a chaplain. He said thanks and I turned to fill up my truck. Then he asked me, 'You’re a chaplain?' I said, 'Yes,'. Tears streamed down his face as he asked, 'Would you pray for me? I just buried my wife in Virginia, and I’m heading home.' Now we’re both crying. I put my hand on his shoulder and we prayed together. I love our vets. I’m thankful for divine appointments. Oh, by the way, his name is Jim, so pray for him." 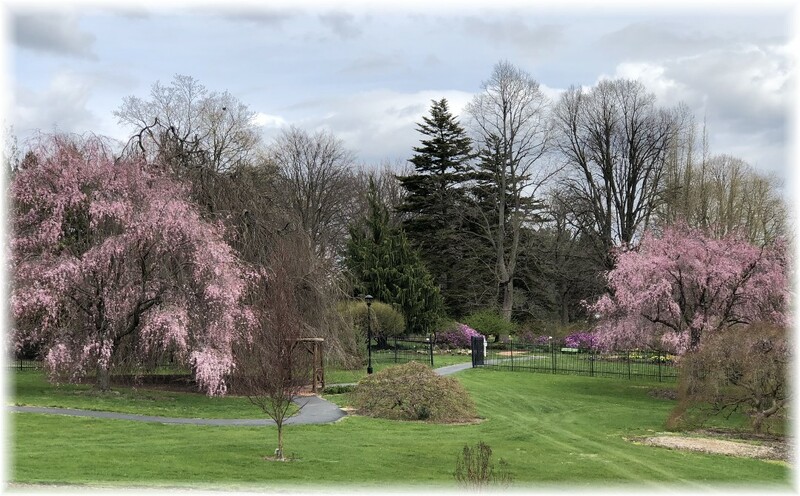 We walked through Hershey Gardens last week and though most flowers were not in bloom (due to unseasonably cold temps) we sure appreciated the beauty of the flowering trees. The tulips were in full bloom! This orchid was inside, of course! The Hershey Gardens has a lepidopterarium, a fancy "word of the day" that means butterfly house! For some reason Dottie enjoys drinking directly from the pump. 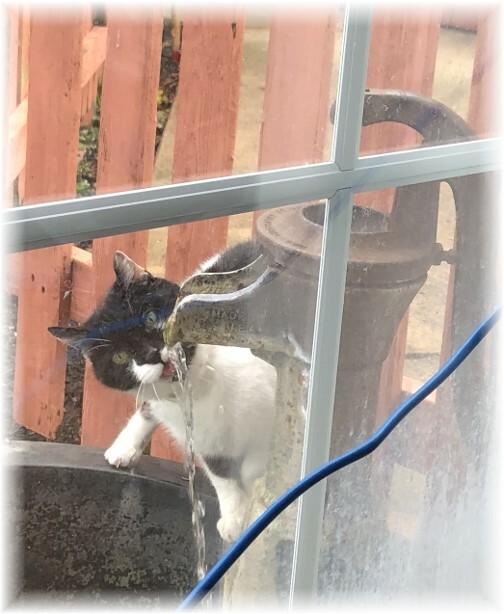 I assume she thinks it's fresh water but it really just recirculates!